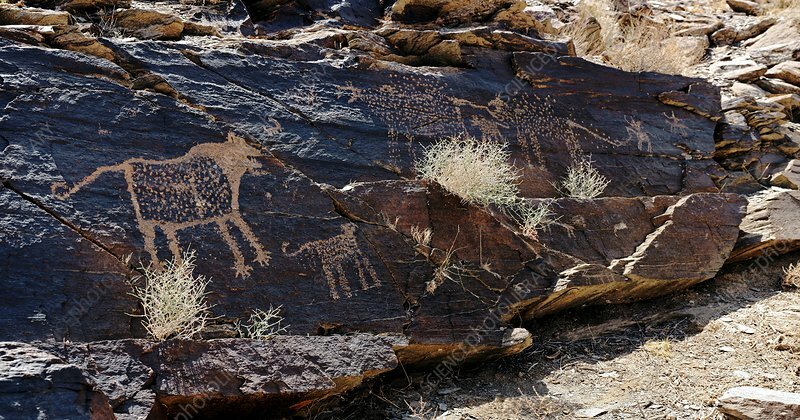 Prehistoric rock art, or petroglyphs, in the Teimareh valley, Zagros mountains, Iran. This valley is full of ancient petroglyphs, dating from 4,500 to 17,000 years ago. With about 20,000 engraved images, this region is one of the world's most diverse petroglyph sites.